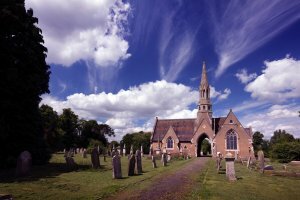 Applications for interment are usually submitted by undertakers but enquiries, including the purchase of Exclusive Rights of Burial, may be made directly to the Town Clerk's Office on 01487 814957. Wood Lane Cemetery consists of the older existing cemetery and the new extension which is a lawn cemetery. Ramsey Town Council is also responsible for the maintenance of the closed churchyards.